Last Sunday Bec, Sharky, and I did A Run Through History 5K. Supposedly, it has more turns than any other 5K in the country. That doesn’t suprise me because I regularly run through Metairie Cemetery and I have to zig-zig quite a bit to get 2 miles out of it. To make it 3.1 miles takes a lot more switchbacks. 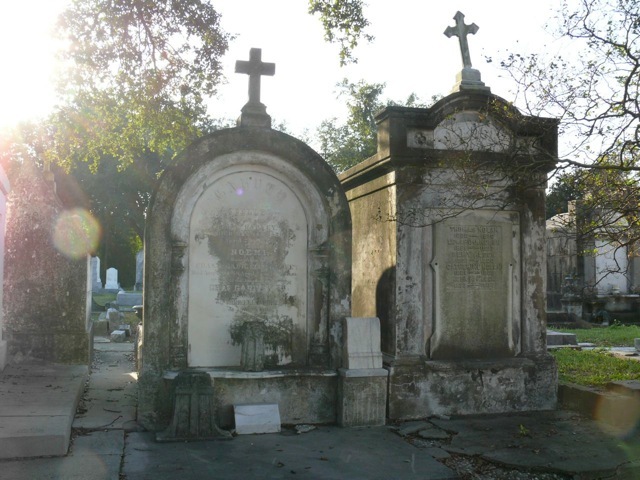 If you don’t know the history of Metairie Cemetery, it was once a horse track. Legend has it that a wealthy Northerner wanted to join the private horse racing club. The Southern members told the guy that he couldn’t join(as it was a private club). The Yankee swore he would buy the club and turn it into a cemetery. And that’s what happened! Look it up. Anyway, Bec and Sharky came in top 10 for race walkers. Not too shabby. Oh, and after the race there was jambalaya and Abita. Always good to run and then drink. Always. Ha. 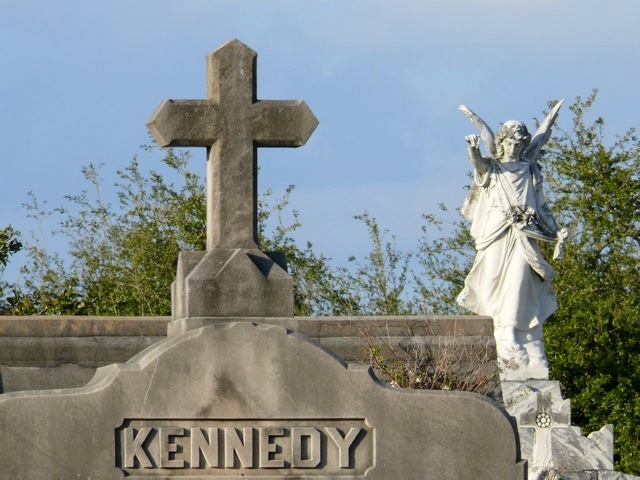 The story of Metairie Cemetery is pretty crazy. Congrats to Bec and Sharky!